Cobalt TV delivers premium picture clarity through digital transmission and the Amino Set Top Box. With a small, sleek style, the Amino Set Top box allows each TV in your home to perform with top-notch features, easy usability and reliable service unaffected by weather. We’ve made recording TV as easy as – well, actually watching TV. It’s all there with a touch of a button. It doesn’t matter what time your program actually airs. Record it and watch when it’s convenient for you. With your DVR, YOU control the TV schedule. Take Control of your TV experience with a Whole Home DVR! Save on additional Set Top Boxes when you add a Whole Home DVR. Select the package that matches the number of TVs in your home. Manage your DVR recordings from anywhere. With the MyTVs app, you can connect to your DVR enabled set-top boxes to schedule and manage DVR recordings even when you are not at home. Additionally, you can view and search the TV program guide for your favorite shows or programs. Click here to learn more. 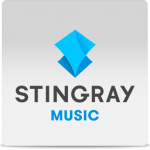 Listen to all your favorite Stingray Music channels, free and on-the-go, with the mobile app! Download the app on Google Play or the App Store. Included with Cobalt TV Essential & Ultra packages. There’s more than one way to see what’s showing on TV. Info Button – Press Info and you will see the name and a description of the current program at the top of the screen. OK Button – Press OK to show the ‘Now Playing’ bar and you will see what program is currently playing. Guide Button – This is the most comprehensive view of what’s on. Go ahead and page through. . . .you’re bound to find something to watch. Browse Button – Press Browse (right arrow) to show the channel you are currently tuned to at the top of the screen. At the bottom of the screen, the ‘Info Bar’ shows you the channel number, channel name, current date and time, program name, date and time the program airs, a progress bar, and the program that airs next. Press GUIDE on the remote to access detailed program information for the next two weeks. The last channel viewed appears on a smaller screen (screen‐in‐screen) within the Guide so you never miss what’s happening while you search for what’s on, schedule feature programs or get more information. When you set Favorite channels, you create a separate program guide just for the channels you watch the most – your Favorites! After you’ve set up Favorite channels, press the Guide button three times to see the Favorites program guide. Take control of your children’s viewing times and what they are allowed to watch with Cobalt TV’s feature-rich Parental Controls. Users can set restricted viewing times by “Time of Day” and “Day of Week”. They can also set Programming Limits based on Motion Picture ratings or TV ratings. If there is an attempt to tune to a channel during a restricted time or with a rating at or above the rating limit, a PIN must be entered. Users can also restrict display of program titles at or above the rating limit in the guide. Change PIN: Select the Change PIN category to enter your new PIN and confirm it. Until you change it, the default PIN is 0000. Weather information at your fingertips. Running a little late and missed the beginning of your show? Restart it! Restart TV allows subscribers to Restart a TV program that is already in progress. Now if you miss the start of your show or if you are browsing channels and see a show you want to watch that has already begun, it’s no problem. Push the green, color coded button on your remote to watch the program from the start. Watch TV Everywhere streams some of your favorite channels and programming to your tablet, your smartphone, your laptop and other devices from anywhere you can receive an Internet signal.It’s easy to start using WatchTVEverywhere. Click on Register. You will need your Cobalt TV account number which can be found on your monthly invoice. You will be asked to provide an email address which will be your user name. Provide a password and a password reset question. In your email inbox you will find an email message with your WatchTVEverywhere activation link. Click on the link to complete the registration process. That’s it! Now you can start enjoying WatchTVEverywhere. To learn more about WatchTVEverywhere click here. Events marked with the green “NEW” symbol signify a new episode of the program. Press “ON DEMAND” on your remote. Arrow up/down to select the Church Services folder. Press OK. The blue button will alternate between grid and list views. you want to view. Press OK. Select “Rent” at the bottom of the screen. Press OK. There is no charge to view local church services found On Demand. Get a quick snapshot at what’s happening on Cobalt TV. Just press OK on the remote. A popup will display on the screen showing the channel that’s on live TV, the channel you are currently watching and any channels being recorded on your DVR. Guide Search allows you to click on a program in the Guide and hit the Search (Yellow) button to see a listing of future availability of the same show. You can even go back in time in the Guide to search for a program you just missed. The Title Search feature allows users to search for programming based on key words in titles. There are search capabilities that allow you to either search for a full title of a program or for a word or two within a title. You can use the Search feature in the guide to find all instances of a program by title or, you can use the Search feature to enter a partial name and search for all instances of the word to locate the desired program. This works well if you can’t recall the full name of a program or movie. The Search History feature will allow you to save your searches so that they can be used again at a later time. Up to 18 searches may be retained in the Search History at any given time. The oldest searches will automatically be removed as a new search is performed. Frequently used searches may be saved to prevent removal, and may be sorted to keep them at the top of the History list. Never miss the start of a program. To set Reminders while viewing the guide, highlight the program where you want a reminder and press OK. You can set the reminder to change to your your channel at the start of the program. Press the Yellow Button on your Remote Control and click on WHAT’S HOT! Play some of your favorite games right on your TV. Memory, Minesweeper, Solitaire, Spider Solitaire & Sodoku. Subscribe to Caller ID for your home telephone and view your caller ID display on the TV as well as on your regular Caller ID device. The Recent Calls List will store recent caller ID information.